BluePrint for Health New Mexico is a multi-stakeholder, collaborative planning and design effort to develop a statewide plan to successfully implement the Affordable Care Act with the long-term goal of improving the health of New Mexico’s children and families. The project was funded by the Kellogg Foundation. For full report and more information on the Blueprint for Health collaborative visit Con Alma Health Foundation’s Blueprint for Health page. 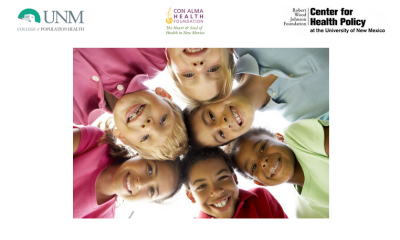 Blueprint for Health New Mexico: Frequently Asked Questions – Refer to these Frequently Asked Questions for a quick overview of the Blueprint for Health New Mexico initiative. Blueprint for Health Guiding Principles – The BluePrint for Health New Mexico Advisory Network developed these Guiding Principles to help guide the development of a work plan to implement health care reform in New Mexico. In order to ensure that the goals and strategies developed align with the needs of vulnerable children and families, these proposed guiding principles are designed to capture the values and priorities of the Network. 1. Consumer Navigators Under The Affordable Care Act: Building A Community‐Based, Patient‐Centered System In New Mexico To Support Greater Healthcare Access And Coverage (August 31, 2011) – Reviews Health Care Reform provisions to inform a community‐based, patient‐centered Navigator System in New Mexico that supports greater healthcare access and coverage as the Affordable Care Act is implemented in New Mexico. The Affordable Care Act requires Exchanges to establish a Navigator Program to award grants to entities, to help people learn about and understand how the premium tax credits will work, what their choices are in selecting from among the qualified health plans offered on the Exchange, and to help them enroll in a plan. 2. Consumer Protections And Insurance Reforms Under The Affordable Care Act: Maximizing Benefits To All New Mexicans (August 31, 2011) – Explores and describes substantive consumer protections and private insurance reforms of the Affordable Care Act in order to help maximize benefits for all New Mexicans. 3. Health Benefit Exchange In New Mexico (September 2011) – Reviews what a health benefit exchange is and why it is important for New Mexico to design its Exchange to best meet the needs of local residents and address the unique challenges facing our state. 4. Accountable Care Organizations And Federal Healthcare Reform: A Search For New Payment Models That Will Provide Better Care, Improve Health Outcomes And Reduce Costs (August 31, 2011) – Provides a preliminary analysis of Accountable Care Organizations with the purpose of addressing the issue of payment reform to improve healthcare access and healthcare quality for New Mexicans as the Affordable Care Act is implemented in New Mexico. 5. Dual Eligible and Elderly Populations in New Mexico: Key Opportunities For Improved Access To Quality Health Care Under The Federal Patient Protection And Affordable Care Act (August 2011) – Discusses some of the most noteworthy changes to Medicaid, Medicare, and other health-related programs that provide options for improving the access of two partly overlapping populations of New Mexico families and individuals to quality, person-centered health care and improved outcomes. 6. Enrollment Strategies to Maximize Enrollment in Health Care Coverage under PPACA (August 2011) – Explores steps that can be taken to maximize the insurance coverage of lower-income New Mexico children, families, and individuals. 8. Healthcare Access and Resource Needs (2011) – Provides insight into healthcare access issues in San Juan County. San Juan County Partnership, Inc.
Survey conducted and Report compiled by: David Wesch, Ph.D.
9. Impact of Federal Healthcare Reform on Indigent Health Care in Bernalillo County: A preliminary report to the Bernalillo County Community Health Council (September 21, 2011) – Reports on the impact that the Affordable Care Act will have on indigent care in Bernalillo County and the UNM Care program at the University of New Mexico Hospital, including strategies to improve the efficiency and effectiveness of healthcare after full implementation of Healthcare Reform. 11. New Mexico Health Councils and Health Care Reform: Opportunities for Improving Health Outcomes for New Mexico Families and Children (August 31, 2011) – Helps develop strategies for Health Care Reform implementation, and analyzing Health Council priorities, strategies, and capabilities related to Health Care Reform implementation, focusing on access to care and the health outcomes. 12. Program & Funding Opportunities Under The Patient Protection & Health Care Act Of 2010 (September 19, 2011) – Scans the Affordable Care Act for potential strategies in accessing funding and program support to fund local prevention activities in McKinley county. 14. 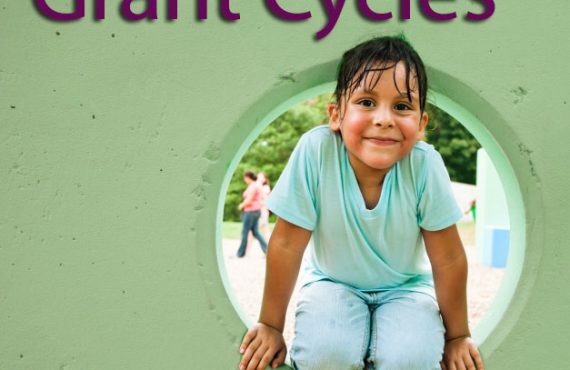 Benefits of the Affordable Care Act for Children (August, 2011) – Discusses and makes recommendations on a number of positive impacts that the Affordable Care Act is expected to have on the lives and health of children in the United States and in New Mexico. 15. Economic Benefits of Health Care Reform in New Mexico (June, 2011 – Updated August 2011) – Reviews the economic impact of the Affordable Care Act via the Insurance Exchange, new Medicaid funding, and other cost saving provisions that are due to go into effect in the near future. 16. 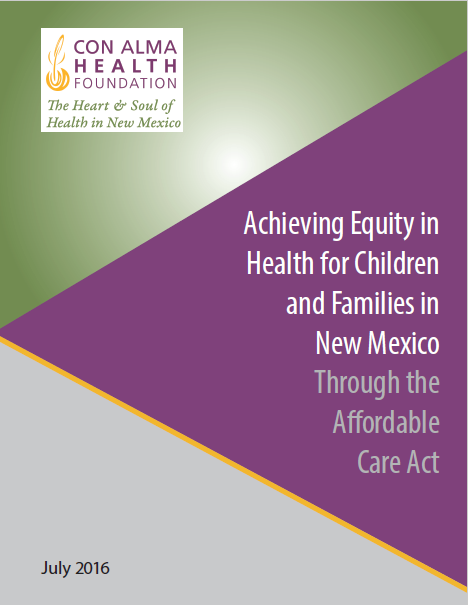 Health Care Reform Policy Development in New Mexico: Access, Quality, Coverage (June, 2011) – Reviews the current status of consumer access to health care services, the coverage vehicles consumers use to get care, and the quality of service delivered. Summary Report. 17. Native American Health Care Reform Guide: Implications of health care reform for Native Americans in New Mexico (2011) – Helps to understand the changes that will take place through Health Care Reform and to help maximize benefits from the specific provisions of the new law that apply to Native Americans. It assists Native communities and Tribal governments to recognize the opportunities to expand and strengthen Indian health systems through implementation of Health Care Reform. 18. Possible Sources of Additional Federal Funding for New Mexico Medicaid (August 31, 2011) – Discusses three possible federal funding sources for New Mexico’s Medicaid services. 19. Tax Revenue Benefits of Health Care Reform in New Mexico (August, 2011) – Analyzes major categories of Health Care Reform beginning in 2014 for which immediate and direct fiscal impacts are relatively well-understood. Includes: expansion of Medicaid and changes to CHIP (the Children’s Health Insurance Program), tax credits for insurance premiums, and health insurance cost-sharing provisions. 20. Using Data, Quality Outcomes & Transparency: Improving Healthy Outcomes Of Vulnerable New Mexico Children, Families And Communities (August, 2011) – Reviews New Mexico’s need and opportunity to renew its commitment of collaborative efforts in aggregating data for quality outcome indicators, tracking efforts to eliminate health disparities, and in providing transparency to the public, all in the interest of improving the health outcomes of vulnerable NM children, families and communities.